This article is part of the series “Basic Recipes for Kitchen Witches,” which is in response to students’ requests for me to post recipes online. The goal of these articles is to give you the how-to-ness, the essential mechanics of creation, as a basis for your own future creativity. You can let your little light shine all on your own from there. Solubility: whether or not something dissolves in a particular liquid. Think of sugar in tea–soluble–versus sugar in cold water–insoluble. Weight-to-volume tinctures are made by carefully considering two aspects of balance: the balance between the weight of the marc and the volume of menstruum, and the balance of alcohol and water in the menstruum. We write this balance as a ratio and a percent, like 1:2 75%, which is basically a shorthand recipe letting everyone know how we made the tincture. You’ve probably seen something like that written on tinctures you’ve bought in the past. You can use dose-dependent medicines without hurting anyone. Dose-dependent medicines make people sick in large doses, so they’re not safe in folkloric preparations. Examples include poke and lobelia. The only real disadvantages to weight-to-volume tinctures are that it takes effort to learn how to make them properly, and it helps to have a good book or website to guide you. The alternative is to make folkloric tinctures, which you don’t measure. Liquid and solid ounces are different! If I have 5 ounces of an herb and I want a 1:2 tincture, I will use 10 ounces of menstruum, because 2 x 5 =10. If I have 5 ounces of an herb and I want a 1:3 tincture, I will use 15 ounces of menstruum, because 3 x 5 =15. Delicate plant parts like leaves and flowers are tinctured at a close ratio like 1:2 or 1:3, because they don’t weigh much but still pack a medicinal punch. They don’t soak up all that much menstruum, so you don’t usually have to add menstruum to keep the marc submerged. Dense plant parts like roots and barks are tinctured at a farther ratio like 1:3 or 1:4, because they weigh more–they’ve got all that structure to carry around, all those heavy plant bones. They can soak up a lot more menstruum into that fiber, which will make your marc stick out of the top if you don’t put in enough menstruum. The closest ratio you want to tincture at is 1:2–1:1 isn’t really possible in your kitchen, although you can get that done with fancy equipment but there’s no real advantage for the home medicine maker. The farthest ratio I recommend is 1:6, which is absolutely appropriate for dried barks and such like that. Past 1:7 your medicine starts to get pretty weak and the dosages get high, which are probably the #1 and #2 reasons your family doesn’t want to take your medicines (“it doesn’t work” and “half an ounce of grain alcohol is disgusting”). It ends up being a waste of herbs and alcohol. A Useful Tip If you find yourself with a tincture that keeps soaking up menstruum and you don’t want to add more at the expense of your ratio–good examples include fresh hops, fresh milky oats, and many dried barks–put the whole tincture through the food processor. The marc gets nicely crushed up into the menstruum and the whole tincture lays down much more quietly in the jar. The second aspect of balance you have to figure out to make a weight-to-volume tincture is the balance between alcohol and water in the menstruum. We write the alcohol content as a percentage, with the remaining percentage out of 100% as water: 40% means the menstruum is 40% alcohol, 60% water. The concentration of store-bought alcohol is easy to figure out because it is half of the proof, which is written on the label. For example, 80 proof vodka is 40% alcohol, and the remaining 60% is water. This balance between alcohol and water affects how much medicine will dissolve into your tincture, a concept known as solubility. Solubility Something is soluble if it dissolves in a particular liquid. In herbal medicine, we talk about alcohol-soluble and water-soluble constituents, plant compounds that dissolve in either alcohol or water. It’s an either-or thing: an individual constituent can’t be both alcohol-soluble and water-soluble, it’s one or the other. All plants contain both alcohol-soluble and water-soluble constituents; the question is whether the medicinal constituents are soluble in alcohol or water. The herbs have a preference for the ideal balance of alcohol and water to get the most well-rounded medicine, which determines the tincture ratio: make water-preferential or alcohol-preferential medicine based on what results you want. In some herbs, like echinacea, the medicine is mostly alcohol-soluble; in other herbs, like willow, the medicine is mostly water-soluble. However, in most herbs the medicine is a nice mix of both alcohol and water soluble constituents; think about all those good medicinal tea herbs that also make nice tinctures, like holy basil, nettles, and dandelion. Those herbs are in the middle of the water-alcohol solubility spectrum. You can tell that an herb has a lot of compounds that aren’t soluble in alcohol if a lot of stuff settles out at the bottom of your tincture, or precipitates. Think about the goop at the bottom of a burdock or elecampane tincture–that’s the stuff that can’t dissolve in alcohol. Actually, it’s mostly fiber, which does for plants what bones and fat do for people (structure & food storage). Burdock and elecampane are both examples of herbs that tincture best at lower alcohol concentrations so their water-soluble compounds can play too. Love details? Here’s more information about Solubility in medicine making! Water-Soluble Herbs For an herb that is more water soluble, you want to use a lower alcohol concentration like 60% for a fresh tincture and 40% for a dried tincture. I really like low alcohol tinctures of most roots, like the aforementioned burdock and elecampane, as well as plants that famously love water like willow. Alcohol-Soluble Herbs For an herb that is more alcohol soluble, you want to use a higher alcohol concentration like 80% for a fresh tincture and 60% for a dried tincture. Herbs that contain berberine or volatile oils as well as herbs that don’t have a lot of fiber in them fall into this category, along with many other constituents. Rosemary, echinacea, holy basil, lemon balm, spilanthes and motherwort are good examples here. Alcohol Selection Grain alcohol is the highest alcohol concentration you can get at 190 proof, or 95%. If you use straight grain alcohol in a tincture, just pretend it’s 100% alcohol when you’re measuring it out–there’s no need to torture yourself by trying to add 5% water by volume. Really, 5% of 12 oz (a common size for a tincture) is 0.6 oz, so it’s pretty negligible whether it’s in there or not. Straight grain alcohol (95%) is only appropriate for fresh plant tinctures, and even that is arguable. This is because dried plants have no water in them (obviously), so the water-soluble constituents in a dried herb tincture will not dissolve into a pure alcohol menstruum. In fact, water soluble constituents in a fresh herb tincture don’t dissolve in a pure alcohol menstruum either–which is why I don’t make tinctures at 95%, but many people do so I’m presenting the option here, as you are an intelligent human and are capable of deciding such things for yourself. General Rules The lowest concentration you should make tinctures from is 40%, and that’s only for dried herbs. Fresh herbs have a lot of water in them, which reduces the actual percentage of alcohol in your tincture and leave you open to mold and spoilage–anything below 40% is at risk of going bad on you. Vodka, gin, and most other varieties of liquor can be found at 40%, or 80 proof; just remember to make sure it’s not 40 proof, which is 20% alcohol and not worth making medicine with. Personally, I use grain alcohol to make almost all of my tinctures, adding water to get a lower concentration of alcohol based on what herb I’m tincturing–instructions on how to do this are in the recipe at the bottom of the article. I like the control of being able to choose exactly what my concentration is. You can always decrease the alcohol concentration by adding water, but you can’t increase alcohol concentration, so I start high and decrease as needed. I like the flexibility of being able to make high alcohol tinctures when I need to, which you can’t do with the lower proof alcohols. Also, I make a point of choosing alcohol concentrations I can figure out in my head, like 60% and 75%–no need to make myself crazy trying to make a tincture that’s 71.25% alcohol when the plant matter itself is going to put an indeterminate amount of water right back into the tincture and mess up my careful exactness. A fun experiment for nerdy kitchen witches You can magnify the energetics of the medicine you make by using different kinds of alcohol. For very warming tinctures made from dried herbs I recommend brandy or scotch, because the liquors themselves definitely add heat–go ahead and make a prickly ash brandy tincture, then tell me you disagree. Likewise, cooling tinctures of dried herbs go nicely in gin (which is also a tincture, incidentally). I strongly recommend getting creative with this, it’s very satisfying to magnify the effect of your medicine simply by your choice of menstruum! Those of you who have made cough medicines with honey and mineral tonics with vinegar, you know what I’m talking about. You feel like the queen of kitchen witchdom and you tell other people about it and they look at you like you’re green and melting, but that’s okay, because you can make medicines that work, and that’s one of those things you carry around with you. Fresh Herbs Fresh plant matter is tinctured at a higher alcohol concentration and a closer ratio, because it already contains water. A good general rule of thumb is 1:2 to 1:4, based on how dense the plant parts are, and 60% to 80%, based on whether the medicine you’re trying to make is more alcohol soluble or more water soluble. It’s totally appropriate to make a fresh tincture of the above ground parts of an alcohol-loving plant like echinacea at 1:2 80%, and the menstruum would then be 20% water. It’s also totally appropriate to make a fresh tincture of the bark of a water-loving tree like willow at 1:4 60%, and the menstruum would then be 40% water. Dried Herbs Dried plant matter is tinctured at a lower alcohol concentration and a farther ratio because it doesn’t have any water and needs some in there to extract any water-soluble compounds. The range I use with dried herbs is generally 1:4 to 1:6 and 40% to 60%. Again, the high end of the spectrum is for delicate parts of alcohol-loving plants, so a dried echinacea tincture would be 1:4 60% (with 40% water). The low end of the spectrum is for dense parts of water-loving plants, so a dried willow bark tincture would be 1:6 40% (with 60% water). Guessing at Solubility Intuition, observation, and experience are the most important tools you have to decide if a new herb is more alcohol-soluble, water-soluble, or in the middle somewhere. Where does the herb grow–on a dusty, windswept hillside, or on a shady riverbank? If it’s growing in a wet place, like willow does, it’s sending a pretty clear message about its preferences. Echinacea is native to dry prairies and flourishes where folks still burn their prairie, which is a great example of a dry-loving plant that tinctures at high alcohol concentrations. Another clue is what’s it growing near? St Johns wort and bee balm both grow alongside echinacea. Taste and smell are important indicators of solubility, too. If it’s slimy when you taste it, like marshmallow or violet, you’re tasting that demulcent medicine, that water-loving aspect of the plant. If it makes your mouth go numb and tingly like spilanthes, or smells really fragrant when you crush it like anything in the mint family, most likely that plant will do well in a high alcohol tincture. Of course there are plenty of exceptions to all of this and every medicine maker has their own personal preference—this is where experience comes into play: observe your herbs, intuit what you think they’ll like, and then give it a whirl and see what happens. Just Try It The best way to learn is to experiment–tinctures are loose, estimate and adjust as necessary. In the beginning, make several batches at the same time to gain experience of the different character of the medicine: I often will make 3 or 4 little tinctures of a new plant at different ratios and concentrations to get a sense of what I like the best. When it comes down to it, there’s no right or wrong here so figure out what you and your family think works the best–just be sure to write it down! If you’re in doubt, you’re working with a new plant, or you want more plant-specific guidance on solubility, check out Michael Moore’s tincture ratios at http://www.swsbm.com or Lisa Ganora’s work on phytochemistry Herbal Constituents (I love this resource but it’s a difficult read, even for the science-minded). The main situation where you really shouldn’t bother making a tincture is if you want an herb for its demulcent or mucilaginous properties. Demulcents are herbs that moisten mucous membranes like the lining of your mouth and throat; mucilaginous herbs contain mucilage, a gooey compound that acts as a demulcent. In these herbs, the medicine is in the goo, and goo doesn’t dissolve in alcohol so tincturing them at any concentration wastes both the herb and the booze. Some of these herbs can be tinctured for uses not related to their prowess as demulcents–burdock tea is a great gooey tonic for the gut, but tincturing it does very nice things for its property as a liver tonic. So if you’re planning to take burdock to make your skin glow, by all means, tincture away (1:3 65% fresh). However, if you want mullein or violet to moisten a dry cough, try drying them for tea or cooking them up in honey because they won’t give you that nice cooling gooyness in a tincture form. There are a couple of herbs that are so extremely water soluble that there’s no point in making a tincture from them at all, like slippery elm (which is at-risk anyway, so please stop using it) and marshmallow. In these cases, if you make a tincture you’ll realize pretty quickly that something’s wrong because they form a disgusting little ghost baby of gooey fiber in the jar, instead of dissolving nicely. If you’re not sure if your herb has water soluble properties but still makes a good tincture like burdock, or if your herb only has water soluble properties like slippery elm, look it up in Michael Moore’s list (link above), your favorite book, or any of the many fabulous free online resources that exist in the future we inhabit. Throughout this recipe, we’re going to use a running example to illustrate how to put the numbers together. The example could be the fresh above ground parts of any alcohol-loving plant, so pick one to picture as we go through this. I’m picturing bee balm. If you’ve got imagination block at the moment, try picturing St Johns wort or goldenrod, either of those will do. You will need: Fresh or dried medicinal herb of your choice, clean and ready to use; grain alcohol; kitchen scale; measuring cup; knife and cutting board; clean canning jars; waxed paper or clean muslin; labels or scrap paper; packing tape; depending on your herb, you also might want a mortar & pestle or food processor. 4. Multiply the weight of your herb by the second number. This number is the volume of menstruum you need. 5. Multiply the total volume of menstruum by the concentration of alcohol you want. This number is the volume of alcohol (if the alcohol is grain alcohol). If the alcohol is not grain alcohol, you are probably using it at it’s bottled strength so you don’t need to add water. 6. Subtract the volume of alcohol from the total volume of menstruum. This is how much water you need. 9. Put the herbs in the glass jar and pour the water and alcohol over them. Don’t forget that herbs take up space when you choose the jar! 12. Line the lid of the jar with a square of waxed paper or muslin so the alcohol doesn’t eat away at the lining of the lid and put metal and BPA’s in your tincture. Clearly label with plant, date, moon phase, harvest location, etc. Cover label with packing tape so it doesn’t disappear. 14. Strain the marc out of the tincture using a mesh tea strainer. Then squeeze the strained marc in a potato ricer to extract the last, strongest part of the tincture. If you don’t have a potato ricer you can squeeze the marc between 2 plates but the potato ricer works way better. Feed the marc to your chickens or the compost. 15. Store in a clearly labeled glass jar or bottle in a cool, dark place. Tinctures last for years. Categories: Herbal Apothecary, Recipes | Tags: herbal medicine, Homestead, natural medicine, Tincture | Permalink. Wonderful article! In all my years as a Wise Woman Wildcrafter, I never understood some herbalists preference for vodka and nothing else, or grain alcohol without exception. It seemed to me a religious inspiration, so I never questioned it. But you have put method to the madness – thank you! 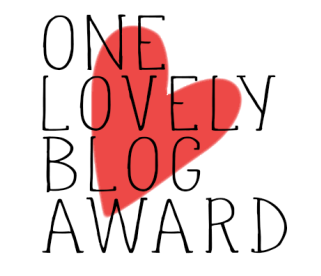 For all the work you have put into this post, would you mind if I re-blogged it to share with my readers? Thanks! I’m so happy to hear it resonated with you. I love to talk about making medicine! Go ahead and reblog, and thank you for the kind feedback! I’ve tried making a weight to volume tincture using 1oz. of marc (lemon balm) and 4 oz. of menstrum; however, the menstrum didn’t even come close to covering the marc. Am I missing something? No matter how much I tried to press down the marc, the menstrum wouldn’t cover it. I really want to make my tinctures using this method, but no matter what type of marc I use, the menstrum doesn’t cover it. Any help you can provide would be greatly appreciated. This is a really common problem, since the leaves soak up the menstruum and puff up. The first thing to do is chop the leaves as small as you can, then mash them down again after you add the marc. I have a bartending tool called a “muddler” that works great. This works for almost everything. If that doesn’t work, you can put the whole mess in the blender, or grind the leaves up in a mortar and pestle or coffee grinder. The blender works great but not everyone has one, and it’s pretty inefficient for little tinctures. Coffee grinder works great for just the plant matter, but if it smells like coffee your tincture will too; you can buy a new one for under $20 to dedicate to herbs if you’ll be using it a lot. Another option is to add more menstruum, in keeping with your ratio. 1 oz lemon balm and 4 oz menstruum is 1:4, so you’d add 1 oz of menstruum for a 1:5 tincture. That way you still know your strength, unlike if you just splash more booze in there. That being said, if you chop the lemon balm up as fine as possible, you should be able to get it down to 1:3, if not 1:2 (it is pretty puffy, but it chops well). Hello! Im used to making tinctures through folk method but am now starting to make them for others and am wanting to be more precise. Im still confused on the alcohol percentages. If Im using 80 proof vodka on an herb that needs a higher solvency like milk thistle would I just not add any water? For example Dr. Tilgner’s book recommends milk thistle be done at a 1:2.5 ratio with an 80% solvency. Is the best route just get 100% proof alcohol? If I use the 40% vodka will my medicine be weak? Thanks for your help! Thanks for these great clarifying questions. If you use 40% (80 proof) vodka for a tincture you will extract less of the alcohol soluble compounds and more of the water soluble compounds, which is great for herbs like willow that love water. However, if you’re tincturing a plant that prefers a high alcohol concentration like milk thistle, you won’t be extracting all of the medicine from the plant because there won’t be enough individual little alcohol molecules to bond with all the alcohol-soluble compounds–you basically run out of alcohol, and the rest of the medicine can’t soak in to the tincture. Your medicine will be much weaker than it would be if you used a higher alcohol concentration. You should definitely NOT add water in this situation because then you’re going below 40%, which is the cut off for being sure it won’t spoil (and at that point it’s like tea with a shot of vodka in it anyway–you wouldn’t drink milk thistle tea, which is actually a great indication of just how alcohol soluble it really is). Ideally, get the highest proof you can find and water it down to 80% or whatever your goal is. 95%/190 proof is the highest but harder to find, but you can almost always find 90%/180 proof liquor in a good sized liquor store. That being said, if all you have access to is 40%, it’s not going to hurt you, and it will still have medicine in it, just not that much. I’d rather see you making tinctures that putting the project aside! It’s also a really good learning experience to toy with different alcohol concentrations for the same plants, you’ll learn a lot about solubility and your own medicine-making preferences. Are you talking about Medicines from the Heart of the Earth? That was one of my first herbals and I love it so so much! Great resource for exploration. I hope that helps, if it’s still not clear definitely let me know and I’ll try again. Hi, Thanks for the site and information. I have a question about the milky oats tincture. I am using 40%/alc./vol. potato vodka. I read in your instructions that if you are not using a grain alcohol, you are probably using it at it’s bottled strength so you don’t need to add water. I have 5 oz (weight) of my dried, ground milky oats and I was going to do a 1:2 ratio so I should add 10 oz. of the potato vodka, does that sound right? I wanted to use it for the antidepressant properties but since my vodka is only 40%, will I be able to achieve that or do I need to use a higet proof alcohol to achieve the 95% 1:2 ratio? I don’t want to use a grain vodka because I am sensitive to corn. 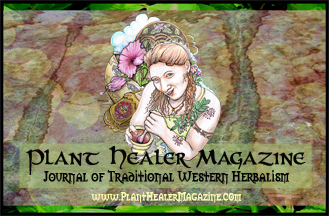 Have you ever done a Vitex/Chaste Tree tincture? I have dried berries and I was wondering if you suggest using the berries whole or grinding them into a powder? Thank you and I appreciate all the help and information you put into this site. So glad you like the blog. Lots of questions in there, let’s see what we can do. 1. When I say “grain alcohol” I mean the purest alcohol you can buy commercially, 180 proof or 95%. If you can find 180 proof alcohol made from potatoes it will be the same–it’s the alcohol percent that matters, not the food that was distilled to make it. 2. You cannot make a 95% tincture from 40% vodka. The most you can make is 40%. Do not add water to 40% alcohol as stated above. If you want to make 95% tinctures you need to get 95% alcohol. 3. Since you’re using dried herbs and 40% vodka, I recommend making your tinctures at a higher ratio, such as 1:4. Please read the rationale for this in the above article in the section about making tinctures from dried herbs. 4. I do not recommend tincturing dried milky oats because I don’t believe the milky aspect will still be present in any significant way. I think you will end up with effectively an oatstraw tincture, since the gooey latex is the stuff that evaporates when you dry the plant. I recommend making fresh milky oats tinctures instead in the spring. 5. There are many other great antidepressant herbs that you can tincture dried. My favorite is Blue Vervain. 6. I have never tinctured vitex but it can be done. I would crush the berries in my mortar to better extract the medicine. Hi OldWaysHerbal! I love your website and your great explanation of weight to volume tincture making!! I’m starting to make tinctures for sale and designing my labels. Like your other readers, I want to be more exact and move away from Folk method when sharing, selling to others. I worked at an herb shop in Missouri (not in the kitchen, unfortunately) and I’m looking at my old bottles that still have labels. On there she lists the herb, grain spirits, and the % by volume. Ex: Hawthorne Liquid Extract has pure herb, grain spirits (21% by volume), vegetable glycerin. How do we determine the % by volume? In this case a 2 oz bottle. Did I miss something in your explanation? I think it’s a state requirement here to list the alcohol by volume on the label. (Hers seem to range from 16% to 21% for various old bottles of tinctures that I have on hand.) THANK YOU!! Also, as a rule I always add vegetable glycerin to my tinctures to make them taste better. Is this a good rule of thumb, or is there an instance that I should be aware of and NOT do this? Thanks for the read. Percect by volume is the alcohol percentage. If you used straight alcohol, you figure this out by taking half the proof, ex. 190 proof is 95%, 40 proof vodka is 20%. If you added water and/or glycerin, it lowers the overall percent of alcohol in the formula, so you have to do math. If you added 1/4 of the volume of water to 75% alcohol, you now have 50% alcohol because you watered it down. If her alcohol percents are that low, she’s probably using dried herbs and adding glycerin. Such a low percent opens up the risk of spoilage but is more palatable, so it’s a balancing act. That’s a great question about the glycerin. Honestly, I don’t know! I really don’t work much with glycerin. Maybe email mountain rose? They do a lot of glycerines, they might have good input for you. And then post it here so we all know! Reblogged this on Rushing River Botanicals. I’m an avid gardener, but I just started growing herbs. I have 9 books on herbalism and about 4 of them talk about making tinctures, but none of them mentioned the weight to volume ratios. So, when I made my tinctures I chopped and crammed as much plant material into a quarter cup as I could and then put it in the jar and added 1 cup of vodka Thinking I was making a 1:4 ratio. Now that I know better, what do I do with the tinctures I made, I mean if I don’t know the ratio how do I know how to dose it? With your wisdom, can you guess what it could be close to? Are the going to be on the weak or strong side? Taste them and see. As long as they’re benign herbs they won’t make you sick if you take too much. I would just treat them like folkloric tinctures, there’s an article on that somewhere on this blog too. I want to mixe various tinctures to make a tincture combination. Do I have to add distilled water and alcohol? If yes, is there a rule about the quantities? You do not need to add anything to your tinctures. Simply combine them into a formula! This is hands down the most well written, easy to follow, succinct, and complete explanation concerning this topic I have come across. I am a student of herbal medicine and this topic has been really fuzzy for me and hard to completely grasp I greatly appreciate you laying it out in such an simple manner. Definitely had my “ah-ha!” moment upon completion. Much thanks! Wow, Suzi. Thank you for the sweetness. My heart is feeling all full and bursty right now. Hello. What’s the best way to approach making a tincture combination? Say you want to combine 4 tinctures together to create a formula. Would you make each one the same, say 1:5 75%, even though that might not be the ideal ratio and/or % for that herb? How else would you be able to accurately figure what to put on the label, either for ration or for alcohol %? (I’ll be using the percolation method.) Thank you! Make individual tinctures, called “simples,” in the ideal ratio and percent for the herb. When they’re ready, combine them into a formula. To figure out what the alcohol percent of the whole formula is, find the average of the individual percents. If you don’t combine them evenly–say, if you use twice as much lemon balm as st johns wort–then you need to take that into account when you average them. It’s pretty simple once you think about it! But that said, you really don’t need to write the overall alcohol on the label unless you’re selling your tinctures in stores with FDA labeling rules in mind. If you’re just selling them to people you know or for your own use, you can label each ingredient with its alcohol percent and save yourself some math if you prefer. Hi, I will be selling to the public. I have a small business in Missouri and I am concerned about getting the labeling done properly. Thanks for your input! Ok, if you’re going to be selling to people you’re not having conversations with, you should probably have a conversation with a lawyer familiar with the FDA cGMP rules & also consider taking one of the ABC’s courses for professionals. They’re really going after herbalists right now in a terribly agressive way. Good luck! Hi Jennifer, I’m new to making tinctures and have just made my first one of valerian root and the vodka used was 37%. Does this mean that the tincture will be less potent and could spoil? Thanks! yes, and it is also affected by whether the valerian was fresh or dried. But you should still try it. You’ll notice if it goes bad. I would like to prepare a tincture from fresh cut wheatgrass leaves & the juice of fresh cut wheatgrass. What method & ratio’s should I use? I don’t know, sorry, I’ve never heard of that. Try searching for something like “wheatgrass tincture recipe,” and also check Lisa Ganora’s resources to see if it’s even alcohol soluble. Hello thanks for this article,I find this fascinating…I am currently using a pine pollen tincture with a ratio of 2:1 and 25% grape alcohol and 75% spring water.I want to cut my expenses and make my own tincture.However the ratio stumps me somewhat.This seems like a lot of Mark:menstrum, and the alcohol: water is odd. Im sure it has a lot to do with the nature of the pollen…very fine dry powder. Is there any way you could help me under stand whats going on here,or possibly a ratio/recipe that would work. I’ve never worked with pine pollen, so I don’t really know, sorry to say. Most likely, the company that’s making that product is using commercial processes to get that 2:1 ratio, and it’s not something you can replicate at home. There are some other ways of extracting medicine where the ratio gets down to 1:1, like a fluid extract done with extracting equipment, a repeated maceration tincture, and a percolation. Either of the last two are home kitchen possibilities, give them a whirl, and also poke around the internet to see if you can find a recipe for use at home, instead of this commercial version. Michael Moore’s resources might have a good recipe. Good luck! Hi i am from Ghana (Africa).The alcohol we have here is basically distilled from palm tree and its concentration is very high.moreover where it is prepared ,There are no indicators to know the percentage of a bottle.i have been using plant roots to prepare tincture for men with sexuall weakness for two years and they keep asking for more. Respectfully how do i use this alcohol if i want to make ginger with lemon tincture or grapes tincture…am confused because there are thousands of herbs and plants but ideally am stuck..
Hi Japhet, I’m glad you enjoyed the article! I really don’t know enough about the local alcohol in Ghana to be able to answer this, but I think it sounds like you already know, and maybe just don’t realize! If you’re already doing it and it’s working, then good. I’m sure there’s someone in your area with more experience who can help guide you as you learn, too. One method I might suggest is to make several tinctures at once with different amounts of water and alcohol, and label them, and then compare when they’re ready. Good luck! Is there a way to calculate how much dry herb equivalent you are getting with a drop, or dropper full, of alcohol tincture, using these recipes? In order to do dose precisely and ensure you are taking the dose you want instead of having to guess? Divide the amount of herb by the total volume so you can say there’s x grams of herbs per ounce of tincture, 30 droppers per ounce so x/30 grams of ounce per dropper. something like that out to help, but it’s still pretty estimate-y and not super exact–that said, it’s close enough for good herbalism! Can u help Im making a Chaga mushroom tincture and I just don’t know the ratio of alcohol to tincture it in? Straight 190proof, or 80%, 60, 50, 40? Also should I do the alcohol tincturing first, then the hot water extraction or do the hot water extraction first and then tincture the Chaga after? And should I powder the Chaga before tincturing or tincture it in broken up Chaga pieces? I use 100 proof. I had been using small chunks, but the last time I just scrapped the orange inside with a knife and I ended up with very fine chaga pieces, almost powder. I didn’t weigh it, but had about 3/4 of a quart jar chaga and filled with rum. I switched from vodka to rum this time thinking the rum is made from sugar cane, Jamaian vs the vodka made from US corn so assumed GMO corn. Then I strained the chaga put the pieces in a crock pot with about a gallon of water. I got it up to a simmer for 3 or 4 hours- lid on. Turned it off, did it again 3 more times. I added a little water. I then mixed the chaga ‘tea’ equal parts with the chaga rum. SO the resultant tincture is 25% alcohol. I did have some tea left over. It was very strong. I guess I could not have added water and made the tea that much stronger. I drink the left over tea as well. Great article, very easy to follow instructions! My question…is there a problem with leaving the marc in the menstruum indefinitely? Ahah! This is the question for the ages. Different herbalists feel differently about this but I’ve never heard a really persuasive argument either way. I strain them for 3 main reasons: easier to bottle & deal with; no marc sticking up out of the menstruum that could potentially mold if the alcohol content was too low; and the strongest menstruum is INSIDE the cells of the marc, so pressing the marc gets the best goodness into the brew. But! I’m not super crazy with it, like if I’m a month late to press a tincture because it’s August and I have bigger garden fish to fry, it’s not the end of the world, I’ll just keep shaking it until a pressing day (I tend to press a dozen or more at a time to reduce set up and clean up time). Have fun & good question. I have already made my tincture and am now looking for a recipe to make a salve using the tincture. Can you help me with this endeavor? Salves are not made from tinctures, they’re made from cold infused oils and wax. You do not mention powdered herbs. I was thinking of making a pine pollen tincture using Ever Clear 95% grain alcohol and pine pollen powder. I was wondering if the ratios you suggest apply to powders as well. I also plan to make an Ashwagandha tincture using pure powder. I don’t know, since I don’t work with powders. They lose their freshness really fast since they have so much surface area, and it’s a lot more work to powder them. If you’re buying herbs instead of growing them like I am, powders are an option, but then you can’t inspect them for purity and color when you get them–they could easily be stale or adulterated and it would be much harder to tell. So I don’t mess with powders. Good luck & feel free to get back on here and tell us all how it went! Thank you for your reply. I do collect the pine pollen myself so the product is as fresh as it will ever be and is already in powdered form so no extra work there. I j did some more digging and found many ways in which to prepare a tincture using powder. Thanks again. If you found a link you love you can post it here for other people who might have the same question! Hello, I new to tincturing. I have a question. If I am doing a dual extraction to make my tincture do I include the “water only” extraction in my menstruum volume to establish the ratio? In other words if I’m looking for a 1:3 tincture 40% is the liquid I’m adding from the water extraction included in the ratio or does this term only apply to the alcohol extraction? Or does adding an equal amount of water extraction to the alcohol extraction now make the ratio 1:6? Hope this makes sense. I have found 80 proof organic vodka. How would I bump it up to 120 proof to get a 60% alcohol? Thank you for a great article and your willingness to help. you can’t add alcohol, you have to buy higher proof if you want higher proof. sorry! I have considerable respect and appreciation for your passion, knowledge and expertise when it comes to the nuanced art of tincture. I am a neophyte to all of this and discovered your blog in a search for answers. Needless to say I am happy and relieved to have found you. I am interested in making a medicinal formula that includes four different tinctures and three different essential oils. I have never done this before and would greatly appreciate your help in beginning with the right ratios. According to the author, “You need 1/4 cup of tea tree oil, 2 1/2 dropperfuls of peppermint essential oil and 2 1/2 dropperfuls of clove essential oil.” (Note: A dropper is an eye dropper from a standard tincture bottle.) Author estimates a dropperful as “about 30 drops” and “2 1/2 dropperfuls as about 75 drops of peppermint and 75 drops of clove oil.” Those drops are mixed with 1/4 cup of tea tree oil and ultimately combined with the dried herbs. To reduce the essential oils by half, I’m assuming 32-33 drops of peppermint and 32-33 drops clove would be about right and 2 Tbs. of Tea Tree oil would be half of 1/4 cup. I hope you can make sense of this. I don’t want to go to the expense of creating these tinctures and not properly gauge its effectiveness based on errors in quantity or proportion. I am attempting to duplicate an herbal tincture recipe I found online where the ingredients listed are shown in miligrams. The only other info given in the list of ingredients is the weight of alcohol by volume. Is there a way to duplicate a recipe solely with this type of info, or even get close? the metric system is beautiful. 1 mg=1 ml. problem solved. you can also always use google as a unit converter by typing in something like “convert 25 ml to oz”, if that’s easier. organic alcohol exists, it’s very expensive, you have to special order it. the medicine of the tincture itself is the same either way, it’s a matter of how concerned you are about GMO grains being used in the production of alcohol. remember that only a very small amount of alcohol is consumed in each tincture, and weigh that against the cost and where other GMO’s can be eliminated in your diet to make your decision. Can you provide a website link or book to learn all the most common herbal tinctures and their uses? Thank you! I just picked elderberries and want to make a half gallon jar full of 1:2 tincture. How many ounces of fresh berries by weight and how many oz 100 proof vodka do I put in the jar to fill it full. Is there a rule of thumb formula for ratio method starting with jar size? I had 22.3 oz of fresh elderberries by weight. I added 44.6 fluid oz of 100 proof vodka. As luck would have it that filled the half gallon jar to the very top. So now we know. next year might be different! it’s greatly affected by the size of the berries. good detective work! So this year I will put an empty half gallon jar on the ole postal scale before plugging it in so the scale shows the jar weighs zero. I will then remove the empty jar and replace it with the jar full of berries and then multiply the berry weight times two and add that many fluid ounces 100 proof vodka. I will let you know how that works. it would be my guess that it would be a volume 1:2 ratio- one part berries to two parts alcohol. you could also crush the berries before adding any alcohol thereby reducing the total volume and i would measure the berries in a measuring cup that has both standard and metric measurements on it because alcohol is sold in metric measured bottles. but to answer your question properly, for every cup of berries, it would be 2 cups alcohol. Deej was trying to make a weight to volume tincture, so they nailed the math! A volume to volume tincture is much less consistent because the size of the fruit can vary year to year depending on things like rainfall and ripeness, as well as how smooshed up they are. Weight to volume is the usual method for reasons discussed in the article. Hi, my name is Sonja. I wanted to make a comment to partially disagree with a portion of your post regarding the proof of alcohol to use when making tinctures with fresh vs dried herbs. I have read various sources on herbology, (my personal Herbology/Naturpathy library contains over 50 books written by Naturopathic Doctors, Nutritionists, Clinical Herbologists and the home herbologists) where by and large those it is agreed by many that that even dried herbs are best tinctured in 180 proof grain alcohol because the higher the proof the more medicinal compounds are extracted from the plant. You can is you desire to add water to the menstruum, but when you add water, IT MUST BE DISTILLED WATER. Tap water contains chemicals and potential contaminates that can drastically shorten the shelf life of a tincture. i have also spoken directly to naturopathic doctors and professional herbal pharmacists that state that the best quality tinctures: be it from fresh or dried plant matter are always made with 180 proof grain alcohol, the tincture is more potent and due to the low level of water, has an exceptionally long shelf life- up to 10 yrs. I have always only used 180 proof grain alcohol when making tinctures and have always tremendous success. 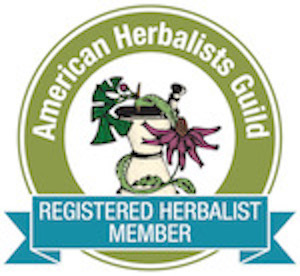 While I am not a licensed clinical herbalist, I am a self taught herbalist. I began studying and practicing the art of Herbology in the year 1995. I make all my own encapsulated herbal combinations, balms, salves, creams, ointments, syrups, decoctions, teas, etc… I have created dozens of formulas that have proven again and again to be of tremendous value to not just myself but to friends and family who have used my formulations to treat things from the common cold, poison ivy, scabies/bed bugs, diaper rash, psoriasis, cutaneous candida, formulations for UTI’s cholesterol reduction, arthritis pain relief, diabetic blood sugar control as well as natural beauty skin care items. Solubility greatly affects the phytochemicals extracted in medicine, so automatically tincturing all herbs the same way means many things will be less potent and complex than they could be, especially dried herbs and water-lovers. Tinctures over 40% will all have a similarly fantastic shelf life. Thank you so much for sharing your knowledge and wisdom. By far the best written article i have read on the subject. You really have made it plain and simple to understand. Wise woman witch you are. Great blog. It has helped alot. I came across it while searching how to calculate correct dosage of home herbal med. I can’t seem to find anything concrete. Could u help with that? Basicly how to calculate dosage for different forms (ie dry herb, powder, tincture, tea, etc). oy. that’s too big of a topic for the comment section. that’s like a whole book, right there. lots of competing schools of thought on this topic, too; some people like a drop where other people like a dropperful. the short version is: depends on the herb, the person, their health status, and what you’re trying to accomplish. Hi thanks for the wonderful info! I was hoping you could you explain the addition of metals and BPA’s? What exactly is that? Jar lids are made out of metal and lined with plastic to prevent rust. Over time that can wear away when exposed to solvents like alcohol. Whatever is dissolving in your tincture will be in your tincture–for example, when tinctures sit in dropper bottles for too many years the rubber can dissolve in and make that gross sickly sweet rubber smell, and then you have to throw out the whole thing. Lids can also do that, so we line them. If you see deterioration on the lid change it. Thank you so much for describing in detail clear and simple how to do this. I sincerely appreciate it. I’d love to hear back from you in regard to a medicine I’d like to make. Shepherd’s Purse/yarrow/lavender to stop bleeding of wounds in emergency situations. I imagine it would be best to make each tincture separate, then combine them, and do tincture over salve or oil so to soak gauze in and then apply…I’ve never made tincture of any of these three herbs and not sure of ratios or how long to soak them. I’ll look thru your site for more info. Again, thank you! Yes. Tincture separately then combine. Hi, Thank you for your wonderful post. I’m trying to make my own herbal tincture and I am wondering if the jar needs to be completely full to the top or is it enough to just cover the herb, because after doing all my calculations of how much I’m putting of each herb and how much alcohol/water to put, I’m left with a jar about 1/4 empty. Nope, worse tincture, not better. Check out the formulation article for details. Brew them separate then mix. I hope I did not miss the answer already. I am wondering how long is an appropriate time for the mixture to set? They say that typically, you would want to wait about one full moon cycle. In the article she says 6wks. I would keep mine in a dark place, labeled of course, and every week shake to stir up the goodness. I guess it all depends upon the marc you use. Thank you so much for breaking this down. I have been creating folkloric tinctures for years and have now opened my own apothecary. I have been studying cGMP compliance and am striving to get there. This post broke it down so easily for me to understand. THANK YOU! I was wondering, would it be possible to re-blog this to my readers as well? As long as it’s clearly attributed to me (Juliette Abigail Carr) it’s ok.
Well, this article made creating tinctures very understanding. I have read this post awhile back and for some reason wasn’t able to receive the understanding from it that I did today. I actually tried this method before and reverted to the fokloric method as I couldn’t cover my marc, filling the rest of my jar with a combination of alcohol and water. Oh well, you have to start from somewhere. Anyways, I appreciate this article and you for taking the time out to explain the process. Yes of course. Thank you so much!